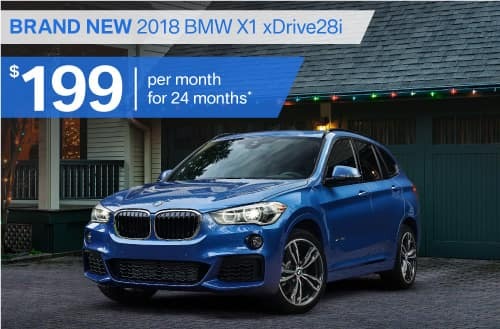 *24-month lease on approved BMWFS credit, $4,200 at inception plus tax, tag, fees, license, 1st payment, $0 security deposit and BMW rebates including $1,500 Owner Loyalty. 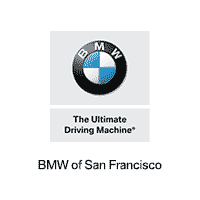 Must be current BMW owner or lessee to qualify for Owner Loyalty. 10,000 miles per year, 25 cents per mile in excess. 1 at these terms: VIN U57900. Expires 1/2/18. 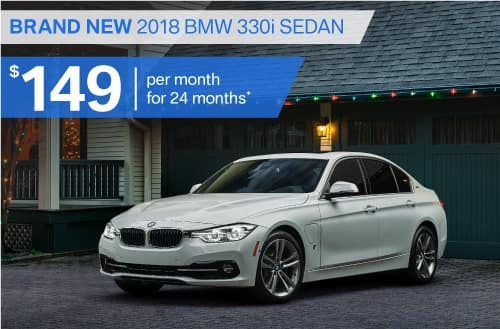 *24-month lease on approved BMWFS credit, $3,966 at inception plus tax, tag, fees, license, 1st payment, $0 security deposit and BMW rebates including $1,500 Owner Loyalty. 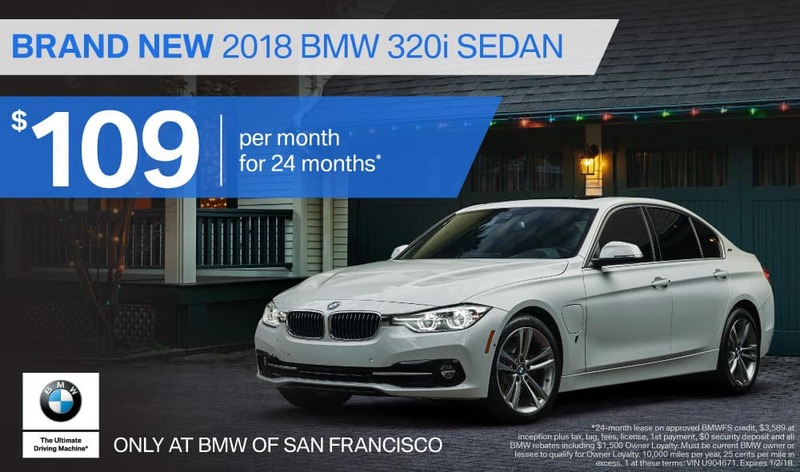 Must be current BMW owner or lessee to qualify for Owner Loyalty. 10,000 miles per year, 25 cents per mile in excess. 1 at these terms: VIN K20793. Expires 1/2/18.